Can We Trust in Code? It is a pressing question in the current technology debate. For our Sogeti Summit 2018 we gathered some of the most visionary speakers to share their insights around this topic. 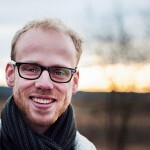 This time we want to share the idea and vision from Katelijne Duerinck – ‘CodeFever’. Our youngest generation are digital millipedes, they use devices and applications as if they were born with them. Codefever is a young non-profit organization that wants to make creators of these intensive users. Learning to program is the basic competence of the future, which is why Codefever wants to organize programming lessons for children aged 7 to 15 years. With their own unique lessons, children are taught the most important basic insights in a cool way. ‘In Code We Trust’ is the second report in our new research theme “Digital Happiness”. 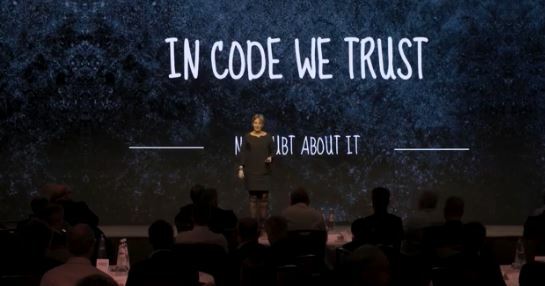 Two recent deep dives with a group of IT Executives and visionary speakers gave us more insights in how Trust and Code are going to evolve. We’ll share the videos recorded at these meetings that we’ve organized in the coming months. Both in the US (Chicago) and Europe (Amsterdam) business executives, media experts and academia shared their views on the massive transformative impact of digital technologies. We are grateful for their input and inspiration which guided us in our report ‘In Code We Trust’ which you can download here.